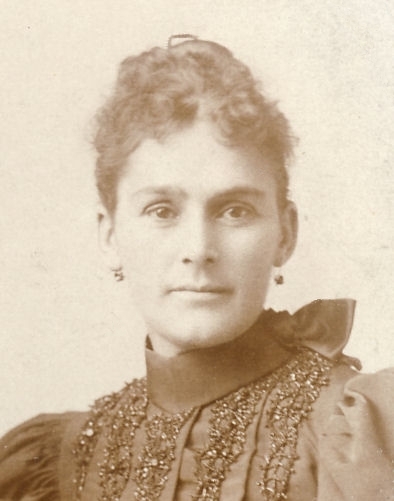 María Agustina Solano, second daughter and the fourth of six children born to the founders of the Solano Canyon community, Francisco Solano and Rosa Casanova, was born May 23, 1861 in Los Angeles and baptized in the Plaza Church. She married Guillermo Bouett on February 15, 1881, also in the Plaza Church, and she died in Long Beach, California, September 25, 1949 at the home of her daughter, María Bouett Jones. María, as she was called (later Anglicized to 'Mary'), lived with her parents in the adobe by the stream that her father built in la Cañada de Solano, or Solano Cañon. After her father, Francisco Solano, died in December, 1871, her mother, Rosa Casanova, moved the family the following June to Bath Street in downtown Los Angeles to live with Rosa's mother, Trinidad Pino. By 1880, María was living with her married elder sister, Josefina Solano Larralde, and the next year, on February 15, 1881, she married Guillermo Bouett in the Plaza Church in downtown Los Angeles, as documented on this image clipped from a page in the Solano Family Bible of María's sister, Josefina. Although these are not their wedding pictures, they could be; the photograph of María was taken circa 1880; that of Guillermo Bouett was taken circa 1890. The couple were married in 1881. Following the survey and distribution of the 17-acre Solano Tract in Solano Cañon in 1888, María received, as her share of her father's land, 12 of the 100 lots in the tract, including Lot 100, which is located at the corner of Buena Vista Road and Casanova Street. Shortly thereafter, María and Guillermo built a house on Lot 100, in which they lived together along with their eight children, two of whom did not survive to adulthood. One of the children of María Solano and Guillermo Bouett, whose name is not known, died in 1890 at age 3; the other, Guillermo A., contracted pneumonia while playing football for Loyola College and died in 1900 at age 17. 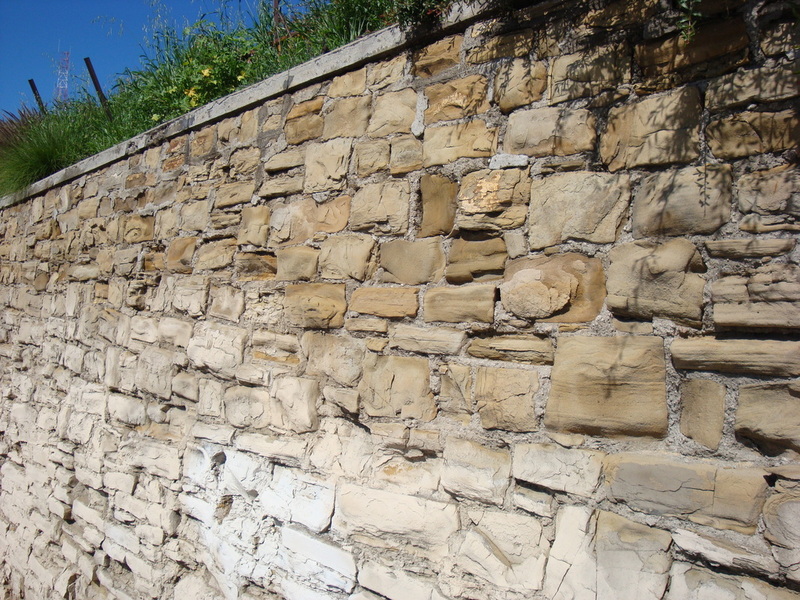 The house that María Solano and Guillermo built at 1425 Buena Vista Road on Lot 100 of the Solano Tract no longer stands; but a stone retaining wall for the property that was constructed out of native stone that was quarried from the Stone Quarry Hills still stands, and may be seen today on North Broadway at the intersection of Casanova Street. 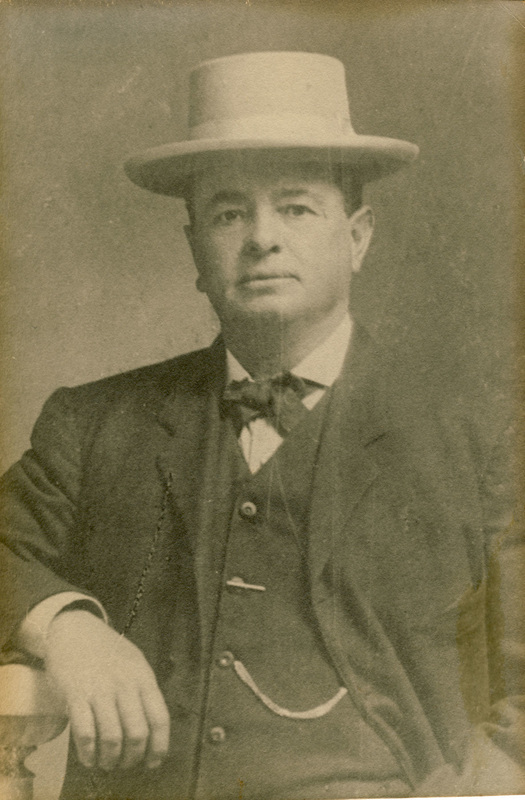 George Hansen, the guardian of María's elder brother, Alfredo, purchased I. W. Hellman's share of 52½ acres of land that he and Hellman co-owned that abutted the 70 acres that Francisco Solano purchased from the City in 1866. This map shows the original 17-acres Solano Tract plus the two, 35-acres lots that Francisco purchased at the same time. To the northwest of Francisco's 70 acres lie the 1½ lots totaling 52½ acres that Hansen bought from Hellman. George Hansen sold this latter property to María Solano and Guillermo Bouett in August 1899. 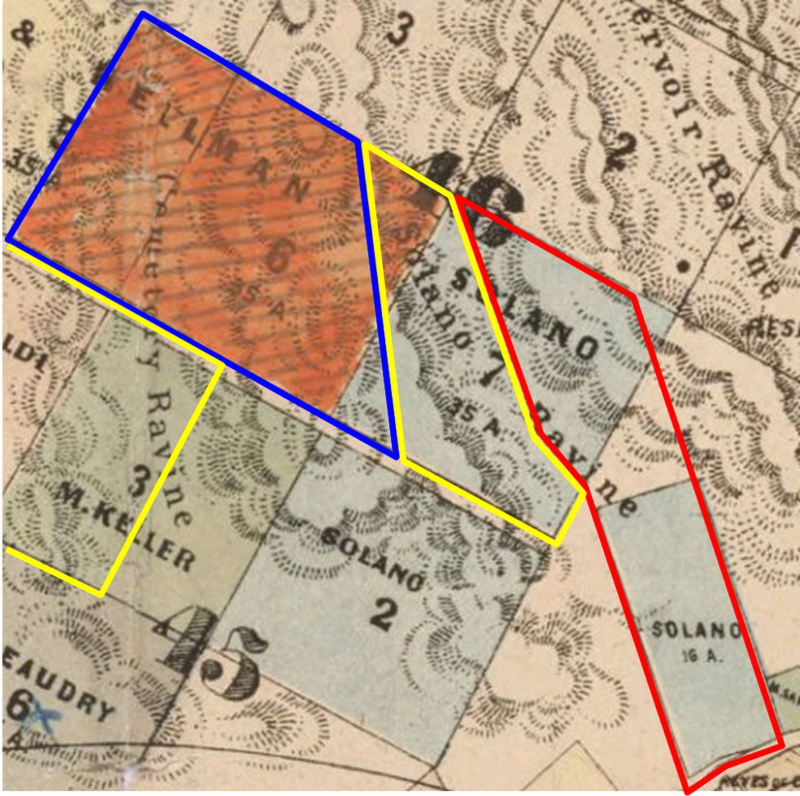 The lots in blue are the original 87 acres purchased by Francisco Solano from the City in 1886. They are the small tract labeled "16 A." 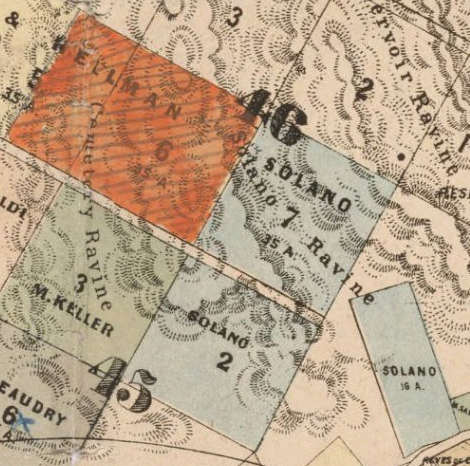 (the tract is often referred to as 'the 16 acres', although it actually measures 16.97 — nearly 17 — acres), Lot 2, Block 45, and Lot 7, Block 46, all of which are labeled "Solano"; the lot in orange and labeled [Hansen] & Hellman — Lot 6, Block 46 and the eastern half of Lot 5, Block 46 — is the 52½ acres that George Hansen sold to María Solano and Guillermo Bouett in August 1899. At that point in time, then, the Solano family — the heirs of Francisco Solano — held 139½ acres of land in the Stone Quarry Hills. What is important about this land transfer of 52½ acres is its physical location on the ground. Look at this version of the previous map, with the outlines of the Chavez Ravine communities of la Loma, Palo Verde, and Bishop overlying the map. The outline in red is present-day Solano Canyon; next to it, on the left, is la Loma. The blue outline is Palo Verde, and the bottom yellow outline is Bishop. What should be obvious from this map is that the timely purchase in 1899 of 52½ acres (the tract in orange) by María Solano and Guillermo Bouett helped make possible the development of a portion of the Chavez Ravine community of la Loma and all of Palo Verde. María Solano's husband, Guillermo Bouett, was a Captain in the Los Angeles County Sheriff's Department. He was killed in the line of duty on February 18, 1913 while pursuing a fugitive from his chain gang. You may read the story of his untimely death here. NOTE: Francisco Solano and Rosa Casanova are one pair of the author's great-great grandparents. María Solano and Guillermo Bouett are one pair of the his great-grandparents. Alfredo Solano is María Solano's elder brother. I am grateful to my ancestors for their careful stewardship of this land. My biggest regret is that, after much of the land was sold, it was then forcibly taken away from nearly 1,100 families who lived in la Loma, Palo Verde, and Bishop for what ultimately became Dodger Stadium.